For owners of dogs that pull, walking the dog can be a nightmare. The advice and equipment in this section make heelwork training easy, and walking more pleasurable for both of you. Dogs learn to pull against continuous pressure. There is no point holding that lead as tight as you can and tensing all your arm muscles to hold them back. Not only will you hurt yourself, but your dog now has something to pull against, and believe me he will! 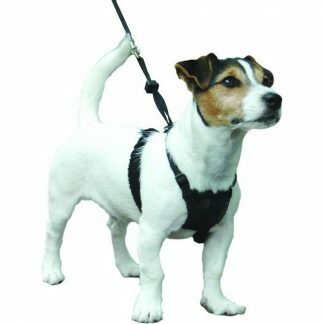 You need to teach your dog to walk nicely on a loose lead, rather than fighting force with force. Consider how many times in your dog’s life he has been rewarded for pulling. He has pulled to the park, pulled to meet a dog or person, pulled to sniff a tree. Your dog has learnt that all he has to do is apply pressure to the collar and you will follow him. In future, try to ensure that your dog only gets to where he wants when the lead is loose. If he pulls, either gently guide him back into the correct position, or change direction to be counterproductive. Your dog has possibly been pulling on the lead for quite some time. Remember, it will take a couple of months of hard work and consistency to teach him that not pulling is a much better behaviour to offer. Heelwork training should be like a fun game. Look at your dog, talk to him and change directions frequently. Most importantly, reward him frequently! Why should he bother walking to heel if you are walking along ignoring him? Worse still, yanking him around and shouting at him? He won’t want to be anywhere near you! Be consistent. Your dog will not understand that when you are in a rush pulling is ok as you haven’t got time to deal with it, but at other times he needs to walk properly. Consistency also involves everyone who walks the dog. If one person in the family is allowing the dog to pull then you are wasting your time trying to reinforce good heelwork. There are occasions when a training aid is necessary to teach your dog to walk to heel. Perhaps your dog is simply too strong for you to guide back into the heel position. Alternatively, other members of the family may not be consistent with the heelwork training. 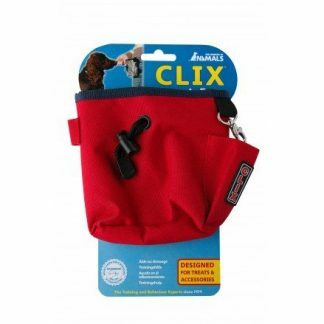 A training aid will not only help you have more control over your dog, but also will make him less able to pull. If you use a training aid in conjunction with reward-based training, then in time you can remove it and your dog should continue to walk to heel. Another important element to these training aids is that they remove the pressure from your dog’s neck. Not only will this alleviate pain, but it will also avoid him building up his neck muscles and becoming a more successful puller. 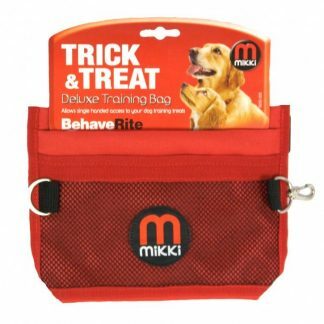 All of these dog training leads and training aids have been used by Pet Necessities on a number of occasions. When used correctly they have been found to be very effective. Nothing you will find on this website will cause pain or injury to your dog. Please see each training aid for specific tips on their use and suitability. 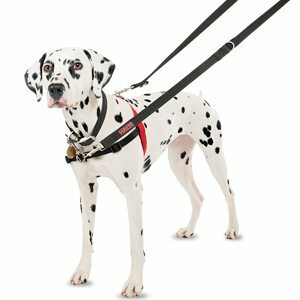 If you are still struggling with teaching your dog loose-lead walking, then please contact our training department at training@petnecessities.co.uk to find out how we can help you further.